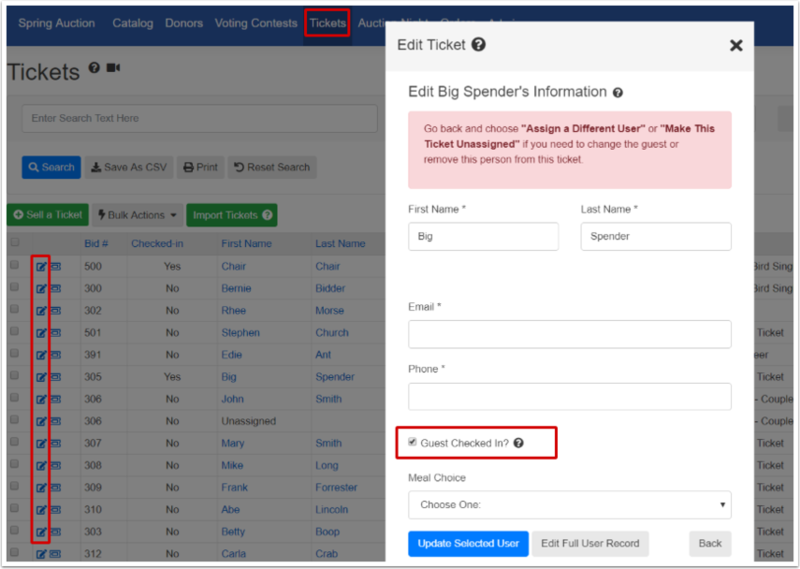 Link automatically at ticket sale by creating a Couples ticket and checking the box "Share one bidder number for all guests on this ticket (Auto Linking)?" Note: guests cannot be linked/unlinked once they have checked in. If you are certain they have not placed any (paper) bids using their bidder number, you can undo check-in on the Ticket Page (see below). Removing the checked in flag does not affect the user's vaulted credit card but will remove their bidder number if it was assigned at check-in.